The increasing burden of identifying and verifying Ultimate Beneficial Owners (UBO) is a common thread in the conversations we have with regulated firms. Gathering and analysing the information needed to understand corporate ownership structure and discover UBOs takes anything from several hours to days. As a highly manual process, it’s also prone to human error, leaving firms exposed to unknown risks and criminal activity such as money laundering, corruption and bribery. digitalisation – the development of algorithms to iterate through an ownership structure between data available from aggregators and to, in turn, confirm this against a primary source. beneficial ownership registers – 4MLD requires that all EU members states develop and maintain public beneficial ownership registers, and 20 countries across the EU are also part of the Extractive Industries Transparency Initiative (EITI). The aim is to increase transparency over who owns and controls companies; help inform investors when they are considering investing in a company; and support law enforcement in money laundering investigations. The UK was the first country to create a Central Public Registry, launching the People with Significant Control (PSC) register in 2017, a publicly available database of UK limited companies that are now expected to maintain details of their UBOs and supply this information to Companies House. 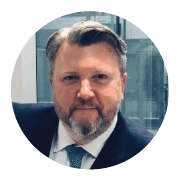 Over the past decade, Ed has led sales and served as a member of the Executive Management Teams at a number of organisations in the Know Your Customer and Governance Risk & Compliance space. Ed managed the New Business Sales and Account Management teams covering EMEA and Asia Pacific for these firms, delivering new business sales growth and increasing the brands’ footprints in new logos and new geographies, that helped take two of them to successful sale, one to a FTSE 100 company, the other to Private Equity.